We've been talking about the A-segment Chevrolet Spark here for quite a while. We've known for a bit that the car will have a 1.2-liter engine making 85 horsepower, and we know it'll be priced starting at $12,995. And now we know the EPA-rated fuel economy, and frankly, it might be the biggest thing the car has going against it. The EPA ratings for the five-speed manual transmission version will be 32 city, 38 highway. The four-speed automatic version will be rated at 28, 37 respectively. So while it'll be priced competitively, both the Chevy Sonic and Cruze—both larger vehicles—hit the 40 MPG mark, although you'll have to opt for the more expensive turbocharged 1.4-liter engine to hit it. 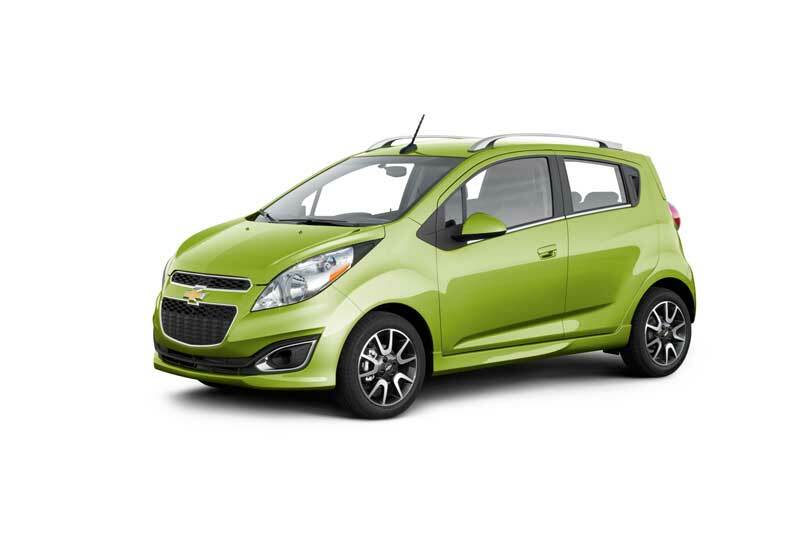 Although the Spark is two MPG shy of the Sonic/Cruze, its entry price is still lower. Let's face it: we're talking two MPG here on the highway end. However, with fuel economy being one of the most (if not THE most) important factor in consumers buying a car, the EPA numbers on the window sticker might hinder sales of the little A-segment vehicle. If this thing could've hit 42 MPG, however, it might be a really hot seller. So yet again the A-segment ends up being small, but as much as a fuel miser as everyone thought it'd be. Bummer for Chevy, nice round numbers sell cars. I hope they pull a rabbit out of the hat and hit 40mpg for the next model year. Though it's still a good car for the price point there are lots of larger cars getting 40mpg highway, so this becomes a big selling point. Cars have significantly more safety features since the Metro days.. thus being heavier, a lot heavier. I honestly think if they'd given this little thing some more balls, and a 6 spd manual as opposed to a 5.. and a 4 spd auto? Is this 1995? It wouldn't have an issue surpassing 40mpg. Given that the EPA is pushing the "combined" number, maybe 35 combined is the new 40 highway?